Most kendoka have heard the phrase “Kendo starts and finishes with rei”. We all go through the physical process of rei and sonkyo before and after keiko, but it is easy to forget why we should show respect to our kendo colleagues and to the traditions of Kendo. 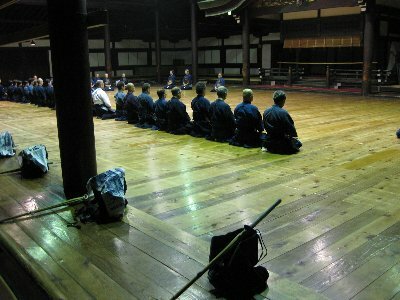 Tare and dou should be put on whilst sitting seiza and men and kote lined up with the rest of the class; only going on when given the command, and of course left kote goes on first. Dogi and bogu should be folded and/or tied correctly before putting away or taking home. Even if you intend to wash your hakama that day, you should fold it neatly and not roll it up in a ball. In keiko, if your opponent makes a successful attack, acknowledge the point with good grace; however if he or she is much more senior and choses to hit you many times in succession, hold back or you risk looking like a nodding dog. Under these circumstance the best thing may be to ask to do kakarigeiko. 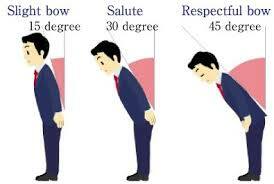 We should also show respect to the dojo itself, by bowing to shomen when we enter, by making sure the floor is clean, by not leaning against walls or sitting incorrectly. This is easily done in a purpose built dojo, but more difficult in a sports centre creche or a scout hut, where you are inadvertanly bowing to an image of Minnie Mouse or Baden Powell. Reigi, however accurate, is useless unless it is sincere. When you bow to an opponent or sensei or kamiza, do it because you mean it. 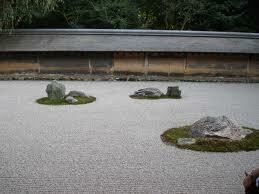 Your attitude in the dojo should be one of quite, confident dignity. No highs or lows, no punching air or grumbling to yourself, but accepting your successes and challenges with an even mind. Reigi is not a one way street. We should show equal respect to seniors and juniors because we learn from our practice with both. Kendo is as much about cultivating the spirit as the body, so most importantly, reigi should not stop after you leave the dojo, Treating others with respect should be part of your daily life.